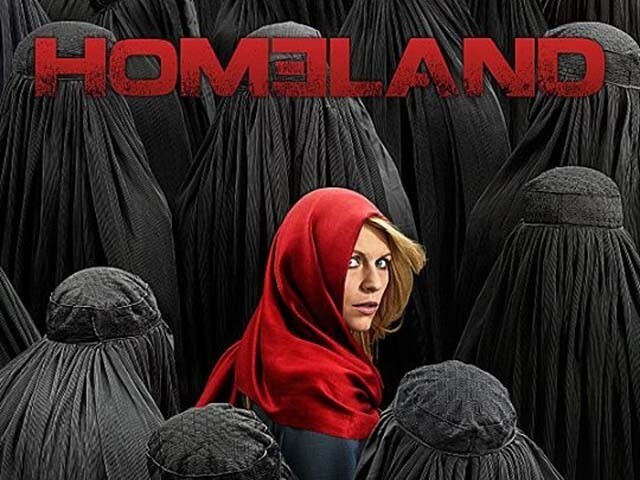 Based around an American prisoner of war’s conversion to Islam and his suspected descent into the terrorist fold, five time Golden Globe-winning series, ‘Homeland’ is widely acclaimed by critics for its top-notch political commentary and a devoted performance by the show’s CIA heroine, Claire Daines. It’s not as uncontroversial among the American Muslim community, however; gaining a mixed response primarily because it has been accused of legitimising Islamophobia by portraying many of its antagonists as radical Muslim terrorists. What’s also feared is that Homeland will incorrectly portray Pakistan, the setting of its upcoming fourth season. Yet I personally think it’s unfair to simplify Homeland as an anti-Muslim rant and dismiss it as yet another production dedicated to proving to the world that Islam causes half of the world to be inherently violent. In fact, Homeland’s complex narrative goes beyond Islamic terrorism, and does not spare American security apparatus and the political atmosphere of the United States in its three award-winning seasons. What Homeland does portray differently is its depiction of ‘turned’ Muslims, or everyday Muslims who transformed into terrorists. Rather than blame religious literature or readings of the Quran, it accuses more secular causes like drone strikes, foreign invasions and occupations for turning normal individuals into terrorists. This is something that sets Homeland apart from other productions that focus on the Muslim ‘problem’, as it is addressed by Hollywood. Oscar-winning Zero Dark Thirty, also coincidentally placed in Pakistan, and based around the Abbottabad operation of 2011, is much more misleading than what Homeland has been accused of being for three years. All Muslims in Zero Dark Thirty are terrorists or spies; Islamabad is completely stereotyped into a very Middle Eastern location; notwithstanding Pakistan is in the Indian sub-continent and shares no borders with the Arab world. Camels, bazaars, minarets and veils are what categorise what is a very modern part of Pakistan and one of the world’s most planned capitals, and there is no Pakistani throughout the film’s running-time that is either a victim or simply a Pakistani. Even the terrorists are consistently shown to be devout Arabic-speaking Muslims acting in accordance with Islamic commandments solely for the purpose of destroying the United States and its allies. When the film ends, a postscript highlights the losses suffered since the war on terror began. It would have been acceptable if this causality list wasn’t exclusively reserved for American soldiers and civilians. It ignored the thousands of non-Western civilians who have lost their lives in Afghanistan, Pakistan, Iraq and multiple countries plagued by terrorist outfits and did not act as a justification of procedures that were followed by the CIA to catch Osama Bin Laden, one of the procedures that escalated attacks on polio workers as a consequence. In contrast, Homeland doesn’t categorise Muslims into terrorists and shows great diversity in representing Muslims, not as monolithic and merely the same being with different faces, but as proper individuals with divergent aspirations. One of Claire Danes’s character’s co-workers is the son of a Lebanese woman and Mexican Muslim convert. Another Muslim CIA analyst is shunned for wearing a headscarf, again, a very rare acceptance of Islamophobia present in the United States that penetrates every section of society. Stupid mistakes made by the CIA and other American security agencies are often very racist, like simply quarantining some suspects for being of Arab-origin or travelling to Lahore, where in fact the real culprits are white. The CIA is also shown not to keep its promises of protecting individuals who exchange their own lives for preventing attacks on innocent people, no matter how significant their contributions is in the war on terror. Where Zero Dark Thirty’s CIA is very heroic and only keen on preventing villainous Muslims from invading America, Homeland’s CIA is repeatedly slammed for its ineffective policies and ulterior motives. Such labels ring untrue when a show is more honest in showing Muslims than Muslims themselves, and reflects that the true definition of a ‘terrorist’ transcends followers of Islam and might just include the top-most echelons of the political pyramid. I’m sorry, but did you see season 3? Basically the plot was that all CIA operatives have a conscience and all they ever want is peace…. it’s crackpot intelligence agencies in other countries (Iran) that are an obstacle. As soon as the CIA is able to dispose of them, world peace is achieved. O and of course even the less nutty of the Irani intelligence agencies (you know, the one the CIA can plant at the top of Iranian intelligence and work with), are basically psychopaths who go around killing ex-wives and children in cold blood, while the wise old man at Langley (Saul) sheds tears because, of course… unlike the Iranians, he’s an actual human being who values human life! Of course, occasionally he sends out hit squads and the odd child gets killed in the cross-fire, but what else is the poor man to do? His hand is forced. And besides, he feels terrible afterwards, so its all ok! And we we have a token hijab wearer at Langley, whose very faith is an “insult to the memory” of those killed in terrosist attacks. But that’s ok, because shes really good at her job and so she can be tolerated. I also like how the fourth season appears to be about the consequences of drone strikes! …Homeland’s second and third seasons center around an Israeli attack on Iran. How the hell is that show anti-Iranian? The only Iranian agent shown throughout the series is a SAVAK agent who’s double-timing for the Revolutionary Guard and basically, a rat. You are joking right? It is one of the most Islamophobic and racist shows ever. It’s stereotypes of Arabs are so appalling that even Arab Christians have been protesting against it. If there is a TV show about Terror, does anyone think it should show non Muslims as Terrorists? Although i agree on most of what is being but unfortunately Homeland is an adapataion (not original)…. I guess the author was not paying much attention when watching it (the credits)… So if some one can miss that important detail in the analysis, i guess its better to debunk it completely. We in pakistan already have enough of the half scholars and i think we dont need another one!